Removal of existing floor coverings and preparation for a new flooring solution. Floor preparation is a big part of any old or new construction project. 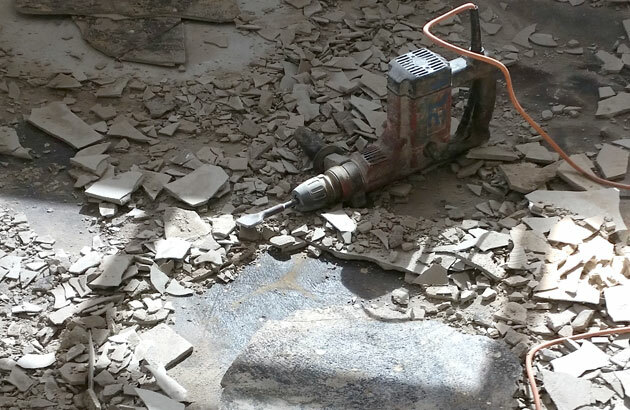 The JJS FloorSpec Team are not only experts in bringing your old concrete floor back to life, we can also help you remove an existing floor covering and prepare it for a new flooring solution. We are experienced at uplifting existing coverings like carpet and vinyl within tight time frames and can restore your concrete floor with a polished concrete or grind and seal system, or prepare your floor for a new covering system like carpet, vinyl, wood or laminate. 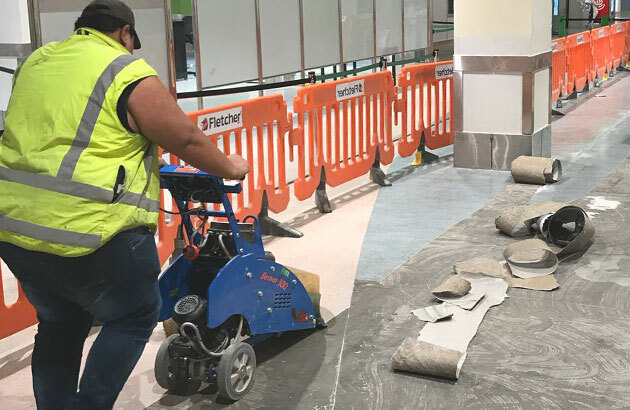 JJS Speciality Systems are well known in the commercial and construction industry and work closely together with most of the main Building and Flooring installers in the market.